One of the best parts about our job is being sent photos of your work and getting to see how our flowers have played a role in transforming your events. Flowers on a rack or in a box are still pretty, don't get us wrong, but to see the finished product and the magic you've created is so rewarding for us. 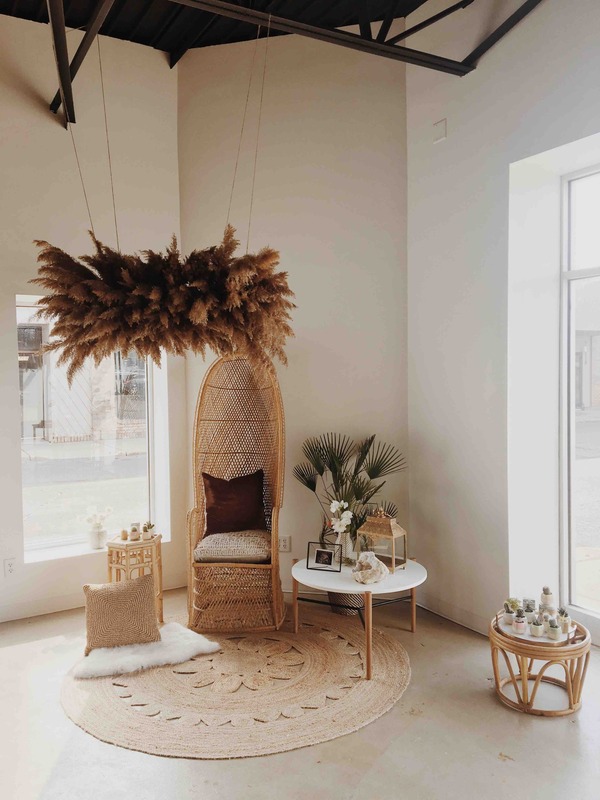 Leif, a Detroit sales rep, passed along this gorgeous baby shower from his customer Megan of Ever Ours Events, and we had knew we had to feature it! It's definitely not your ordinary baby shower, and we love the creativity in this design. 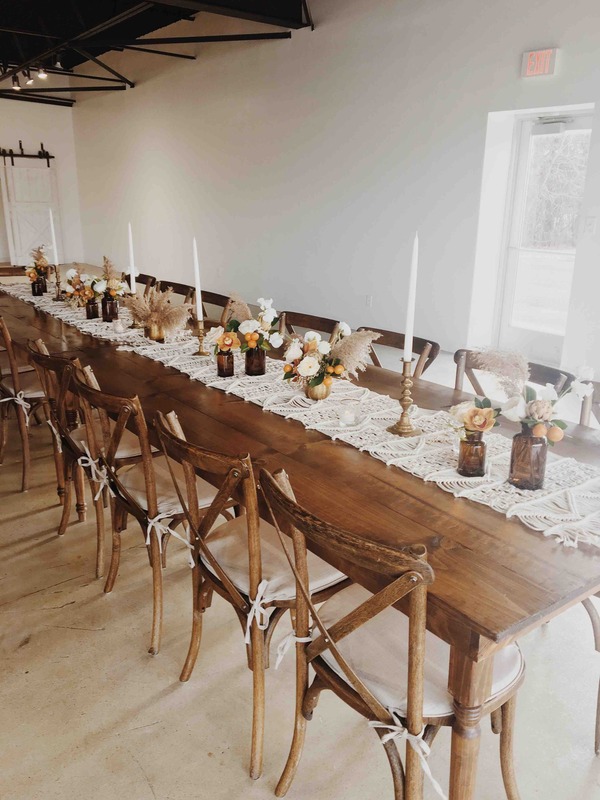 We reached out to Megan to find out more about the inspiration behind this sophisticated yet bohemian baby shower... here's what she had to say! Kathy wanted a not so typical pink/blue baby shower. 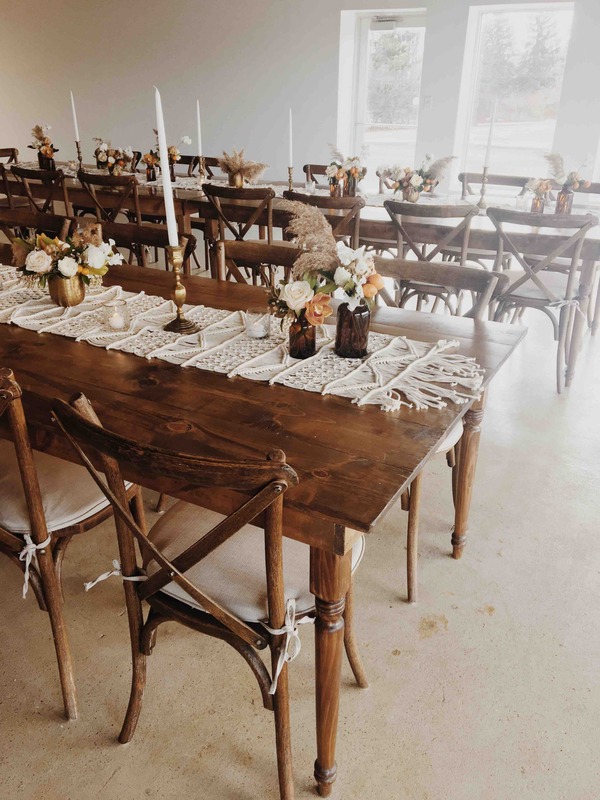 She loves traveling - especially for beautiful destination weddings out West and is drawn towards boho inspired design. We wanted to recreate that feel for the shower so we built the theme around dried grass! I used muted florals - white sweet pea, white ranunculus, Sahara roses, Patience Garden roses, pieris japonica and unexpected pops of oranges to browns with Calamondin as well as orchids. 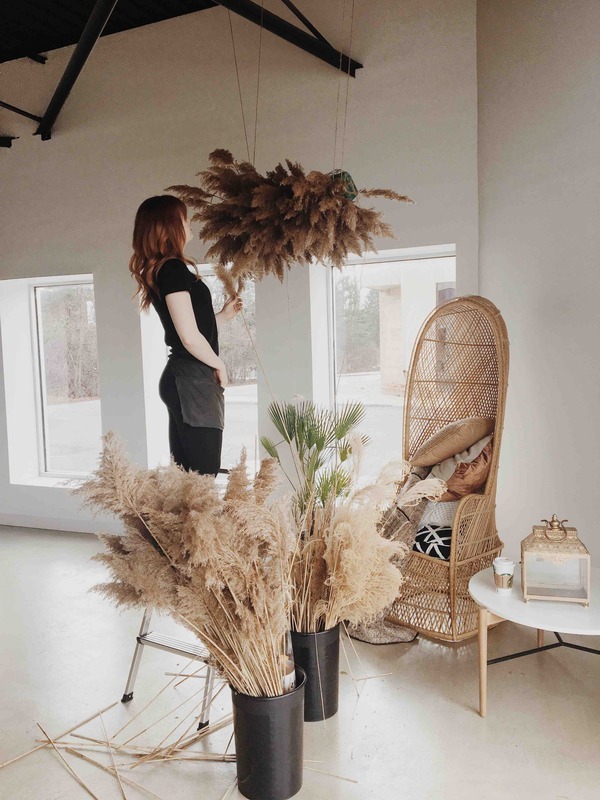 I had the most fun building an installation above the wicker chair out of dried grass as the main focal point of the room.